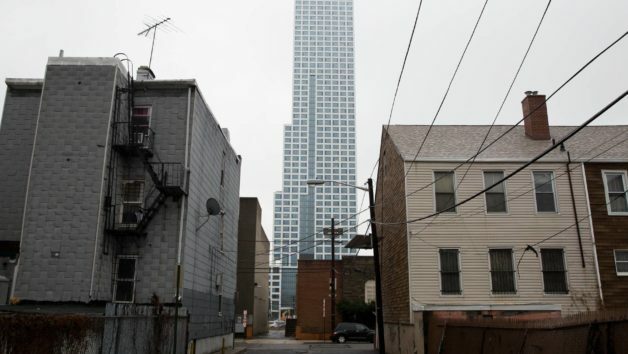 Longtime homeowners in Jersey City, N.J., are trying to put the kibosh on endless aggressive real estate solicitations sparked by a hot property market. In response to complaints, the Jersey City Council unanimously passed a resolution creating an anti-solicitation city program referred to as a “No Knock” registry. Residents that sign up will receive “No Knock” decals for their front doors, and violators who continue to inquire at those homes can be fined up to $2,000 and sentenced to 90 days of community service. “It’s something that we want to address and do it in a proactive way that builds community as opposed to creating conflict,” said Council President Rolando Lavarro. The population of Jersey City, the state’s second-largest municipality, grew 6.7% between 2010 and 2015, according to the U.S. Census. Median housing prices there have increased 17% over the last six years, to $305,000 in 2016 from $260,000 in 2010, according to RealtyTrac. Amid the rapid residential development, longtime homeowners say that persistent offers from real-estate investors and developers have at times escalated to the point of harassment. Assunta Folcarelli, a crossing guard who has owned her Jersey City home for 35 years, said realtors started calling her six years ago asking to buy her home. She has repeatedly declined but said solicitors continue to call, show up at her door and send her letters. Michael Griffin, a lifelong Jersey City resident and local activist, supported the registry’s creation but said the city needs to do more to protect vulnerable homeowners from developers. Mr. Griffin said the city needs to educate residents about cash offers, including in several neighborhoods where many homeowners live at or below the poverty line and the old Victorian and brownstone homes are attractive to developers, he said. Jersey City began accepting applications for the registry on Tuesday and doesn’t expect the program to be a significant expense for the city, City Clerk Robert Byrne said. The New Jersey towns of Jackson and Toms River have also established “No Knock” registries. In Jersey City’s case, officials reached out to Orthodox and other clergy leaders from the beginning while developing the “No Knock” registry, said Avi Schnall, director of the New Jersey office of Agudath Israel of America, an Orthodox Jewish advocacy organization. Orthodox Jewish buyers, many of whom were priced out of Brooklyn, have recently begun purchasing in Jersey City, and an estimated 40 to 50 Hasidic families now live there, Rabbi Schnall said.